So much land to explore and so many roads to ride. In 1997 H.O.G. introduced the concept of a Posse Ride: a challenging, two-week or longer ride across America. Basically the Posse Ride was built off the original Route 66 ride. With little hype they’d announce a general plan and their point of departure and a handful of riders would show up. It became popular with the culmination of benefits of adventure and low cost. The first Posse Ride was born. It’s important to note that back in 1997, the H.O.G. National Rally was being held in Portland, Oregon. The H.O.G. leadership, Mike Keefe and Joe Dowd decided between the two of them that to ride coast-to-coast from Portland, Oregon to Portland, Maine would be a great adventure. A start and end, in “Portland” had a sort of poetic symmetry and the cross-country ride was set. In fact, the local talent of Francine West and The High Speed Wobblers—yes, the same folks who today continue to support the annual Shriners Toy Run Benefit—entertained the H.O.G. members at what was then known as Key Largo. A palms and Piña Coladas music club under the Burnside bridge back in the day. 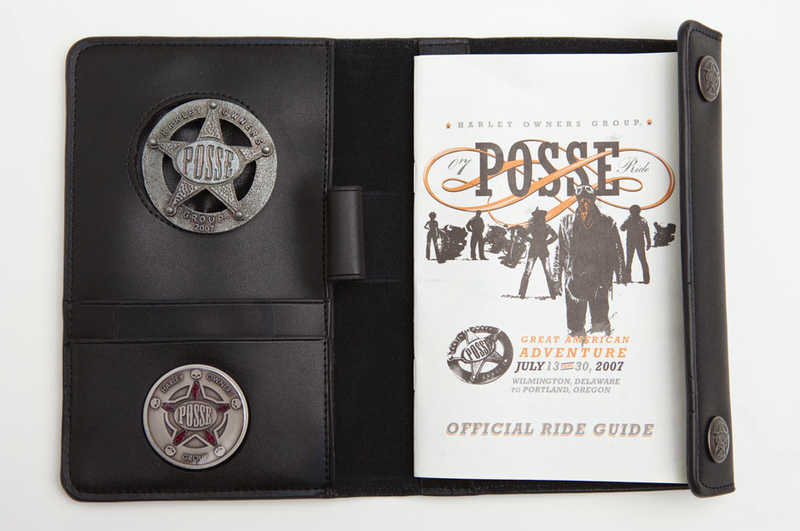 And then there was the “Posse Oath” which provides an example of a spontaneous product that has since become a ritual of the ride. The notion of a Posse Oath was thematically drawn from scenes of the “Old West”, wherein the local sheriff would swear-in a posse prior to pursuing the bad guys. 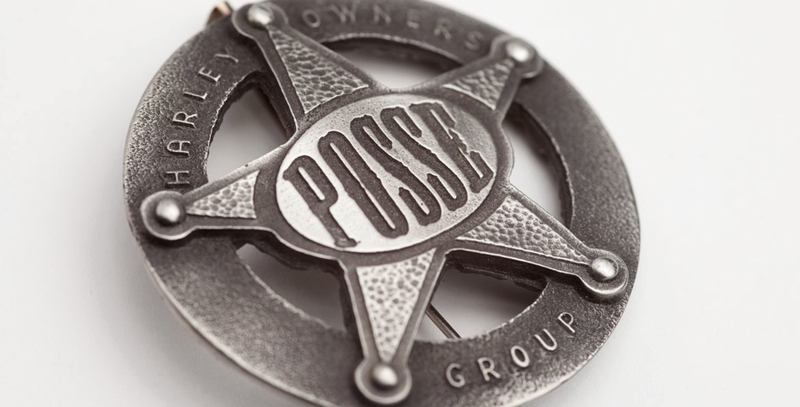 The Posse Oath was incorporated into the first Posse Ride, where it was recited at all participant gatherings. The oath is considered such an integral part of the rally, in fact, it later appeared as a part of the promotional materials. The Posse Ride then circled back to its Portland, OR. roots 10 years later (2007). It started at Mike’s Famous Harley-Davidson in Wilmington, Del., where the festivities included a send-off by The Marshall Tucker Band. The stops along the ride were Greensburg, PA., Fort Wayne, IN., Dubuque, IA., Duluth, MN., Fargo, ND., Dickenson, ND., Billings, MT., Missoula, MT., Kennewick, WA., and ended in Portland, OR. This adventure had approximately 800 riders and took place July 13-30, 2007. And that, as they say… the rest is history!